The northeaster that doused the region from Saturday through Monday overflowed rivers, flooded yards, and dampened basements. Scroll through to see some photos Boston.com readers sent in of how the rain affected them. 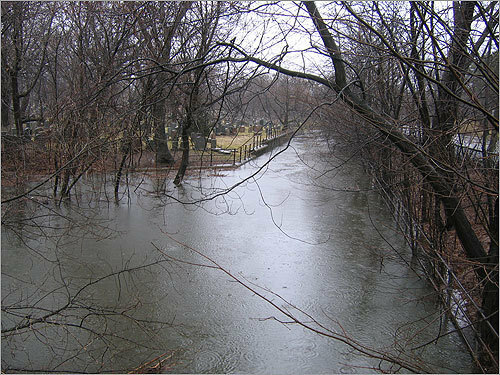 Alewife Brook along St. Paul's Cemetery in Arlington.